Pros - Quite attractive. Great ergonomics. Powerful bass. Natural mids. Good soundstage. Cons - Mid-bass heavy. Bass notes bleed together during quick passages. Details up top can be obscured. First off, I got the ESS RLM-713 on loan from a generous fellow headfi'er. You know who you are. Thanks! I have absolutely no connection to ESS and have no incentive to compose this review other than to provide my own honest opinion. As with my recent E80 Review I'm going to make this a quick, nearly pictureless review. I'll go through some highlights of what I thought made the ESS RLM-713 special and where I found room for improvement. For some really stunning pics of the ESS RLM-713, please check out @hakushondaimao's review HERE. I'm not sure how, but the guy does it with his iPhone. Impressive! I'm a 43 year old music lover who listens to a wide variety of genres and artists (but mostly electronic, metal, and modern composition these days). I've been enjoying IEM since the venerable Shure E2C was released and have listened to a lot of IEM over the years. As with a lot of people my age, I've got some hearing issues - some upper frequency loss and mild tinnitus. So my reviews might be particularly valuable for people in the same boat. Note: I tried covering the vents with scotch tape to see if I could tighten up the bass. I didn't find that to be the case, but I did find it had a negative impact on soundstage. I've never been a fan of on-ear headphones. The few I've tried were very uncomfortable for me, with too much clamping force which gave me a headache after listening to a few songs. Luckily, this wasn't the case with the ESS RLM-713. I was able to wear these comfortably for extended periods of time with my glasses off. I can listen for quite a while with my glasses on, but it isn't the most comfortable. Can't really blame ESS RLM-713 for that, though. I think it's the nature of the beast with on-ear HP. Better than I thought it'd be for on-ears. I listened to these in my backyard while working on my laptop and most environmental noise was blocked out at normal listening volumes. They're not commuter cans by any stretch, though! I listened to the ESS RLM-713 for a few days as my primary HP with my Fiio X5 and iPhone + Calyx PaT, mainly listening to electronic and metal with some classic rock thrown in for good measure. 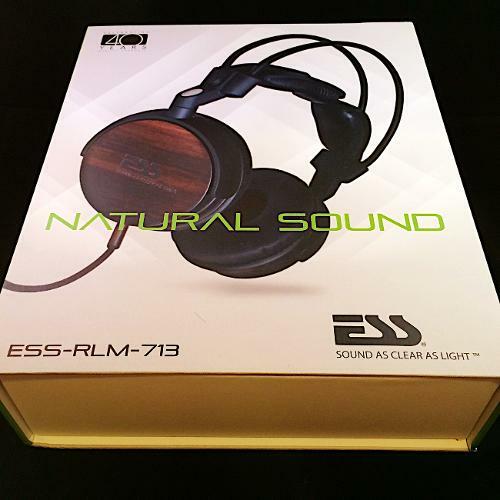 I'd describe the ESS RLM-713 as having a full, warm, round bass that's a bit slow, natural mids, and slightly obscured highs. For context, I really like the SoundMagic HP200 and HiFiMan HE400 headphones. I'd describe the ESS RLM-713's bass as powerful, warm, and lush but a bit ponderous and slow. It's really fun but is in no way "audiophile", so if that's what you're after, run away now! Metal these days has a lot of super-fast blastbeats, making it a good test for bass quickness. The ESS RLM-713 just can't keep up. Instead of individual quick kick drum hits, I'm getting quite a bit of smearing. This is not a headphone for you black and death metal fans! So, what is the bass good for? Well, it sounds good with doom and sludge metal. It also sounds good when you get a bass drop in electronic music. Somewhat counter-intuitively, it also sounds very nice with classic rock, filling out those leaner recordings quite nicely. I'm going go with @hakushondaimao here and call these kids pretty natural. They're not recessed, and they're not too prominent. 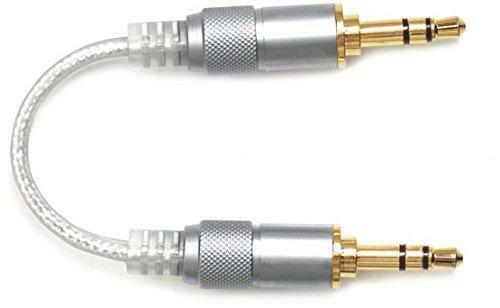 Male and female vocals sounded pretty just fine with these. Sibilance isn't emphasized with these, although I'm not too sensitive to that so YMMV. I feel the ESS RLM-713 get tripped-up a bit on the upper end. To my ears, the powerful bass starts to mask the treble. This was a different experience than @hakushondaimao had. I chalk it up to differences in music, perception, and sound signature preference. For instance, if I turn on the iPhone's godforsaken Bass Reducer EQ, I suddenly hear more happening in the upper end. Turn it off, and some of those details go away, masked by powerful bass. Soundstage seemed natural to me. It wasn't closed-in, and it wasn't stretched out. More on the closed-in side, though. I can push these to very high volume with my iPhone, although they sound better from my Fiio X5 or with the Calyx PaT. 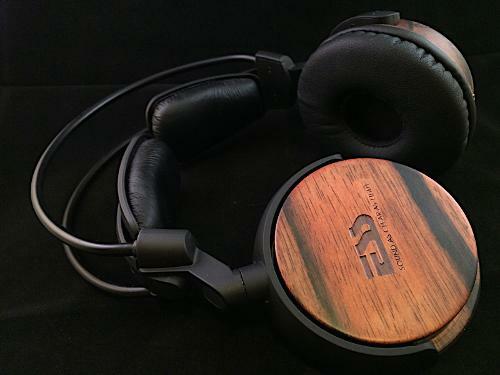 The ESS RLM-713 are an attractive and comfortable headphone with a fun sound signature but leave me wishing for a more balanced sound with quicker and less prominent bass so the upper end isn't overshadowed. For me, it was a bit too much and would require EQ correction to enjoy with the majority of my music collection. However for some of you, this sound signature will really hit the spot. As I called out earlier, I think these sounded really nice with classic rock and old-school heavy metal that was recorded leaner. Black Sabbath and Rush sounded great! Pros - Lush, dynamic sound; quick, prominent bass; balanced, detailed, natural mids and highs; layering and depth; comfortable and light. Cons - Some pressure and discomfort from pads for glasses wearers when listening long; some listeners may find these too bass-heavy. Up until receiving a review sample of the RLM-713, I had never heard of ESS. I posted some pictures on various threads on Head-Fi and on Instagram, and no-one who commented seemed to have heard of them either. When I mentioned they used to make speakers, I got a few comments along the lines of, “Oh, Electro-Static Sound!” but nothing else. So, with that muted response, I decided to do a little research. Information about ESS was pretty hard to find, but it seems the company has been around in one form or another since the early 1970s. It would appear the company went into hiatus around 2008 or 2009, and was recently resurrected under new ownership. I received a sample of the RLM-713 from Grant Fidelity, an online, North-America-wide distributor based in Airdrie, Alberta. They provided the sample unit along with some other equipment for the Calgary Head-Fi meet in late May, and allowed me to hold onto it for some time after the meet in exchange for my unbiased review. At the time of this review, the RLM-713 is available at an introductory sale price of US$249 through Grant Fidelity. I am not affiliated with Grant Fidelity, and that plug earns me nothing. Before getting into the nitty gritty, a little about me. I’m 50 years old, and so probably have deficiencies in my hearing (in a recent, entirely non-scientific test I discovered I can’t really hear anything over about 15 kHz, with roll-of starting around 12 or 13 kHz, which is actually pretty good for someone of my vintage). 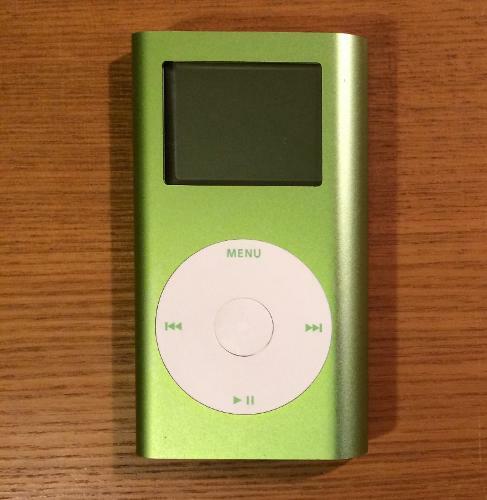 I’ve been a music lover for decades, but am still relatively new to the MidFi/HiFi/Head-Fi game; I haven’t listened to a lot of high-end equipment, and am not an expert on the technical aspects of electronics or musical terminology. 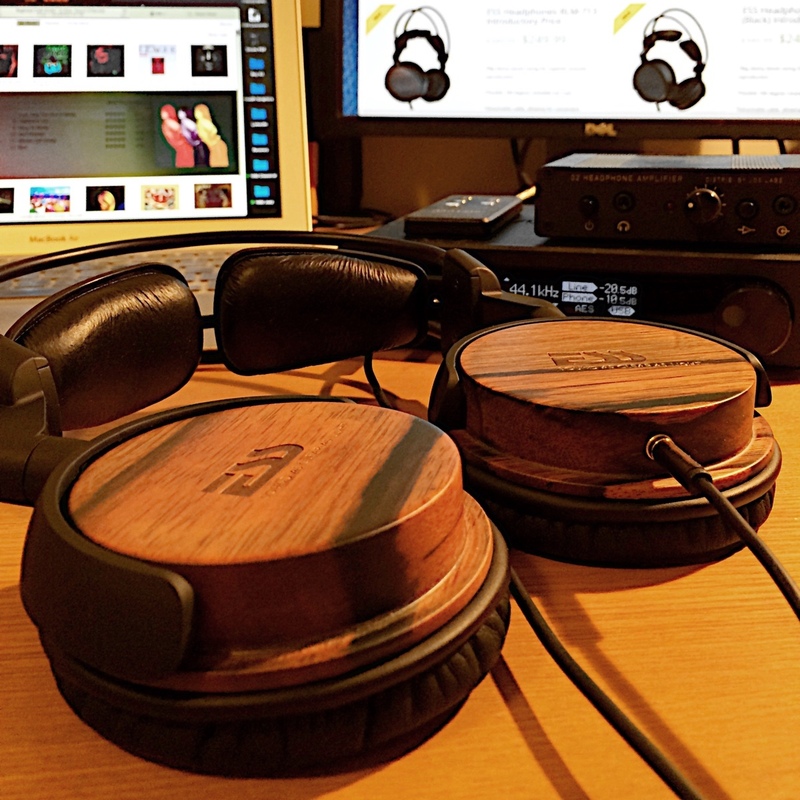 I have read a lot of reviews and threads on Head-Fi, and spend a lot of time on the site; as such I know what has been helpful to me in reviews and endeavor to provide what I consider useful insights to help others make decisions about items they might want to try or buy. I listen to a variety of music genres, in particular, Classical (mostly mid 1700s to mid/late 1800s), Jazz (late ‘50s to early 70’s), Rock and some Prog-Rock (‘70s), ‘80s New Wave/Electro, and Trip Hop/Acid Jazz (90’s into 00’s). My preferred sound signature would be characterized by a good sub-bass presence, tight mid bass, and relatively linear, detailed mids and highs. I like my music quite lush and rich, but with a good level of detail. I’m not a bass-head, am not a big fan of anything too boomy, and don’t like highs that are too intense or harsh. 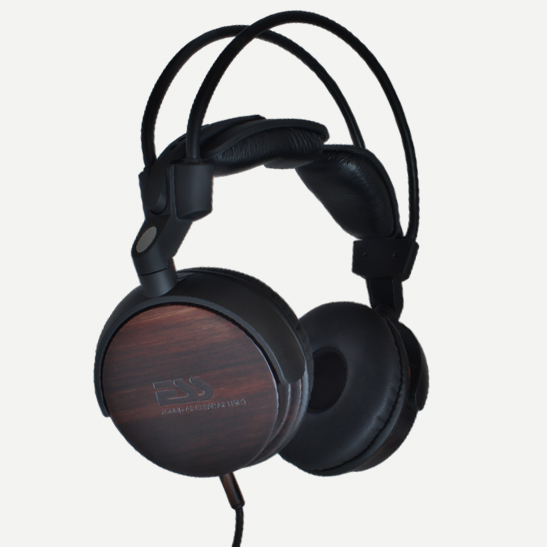 The ESS RLM-713 is a hybrid Heil AMT/dynamic driver headphone. 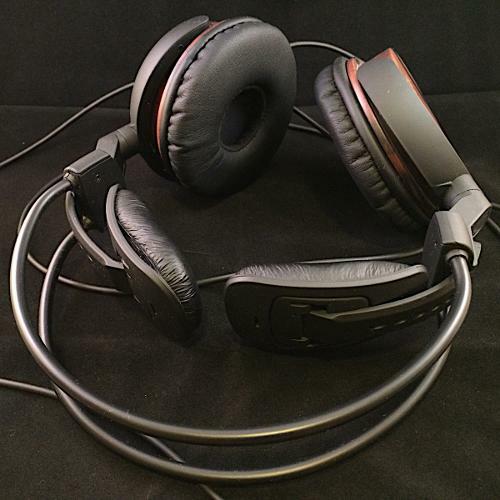 The RLM-713 is a dynamic driver headphone. It does not contain a Heil AMT driver, but has been designed and tuned to mimic the ESS sound. 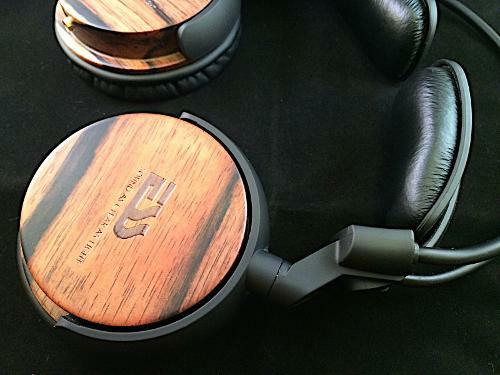 Rick began working on these headphones 3 years ago, and it took him 2 years to get the sound the way he wanted. The casing and headband looks the same as some other woodie headphones currently available online (ESmooth and Meze), but the inside of the wooden chamber and the drivers are different. 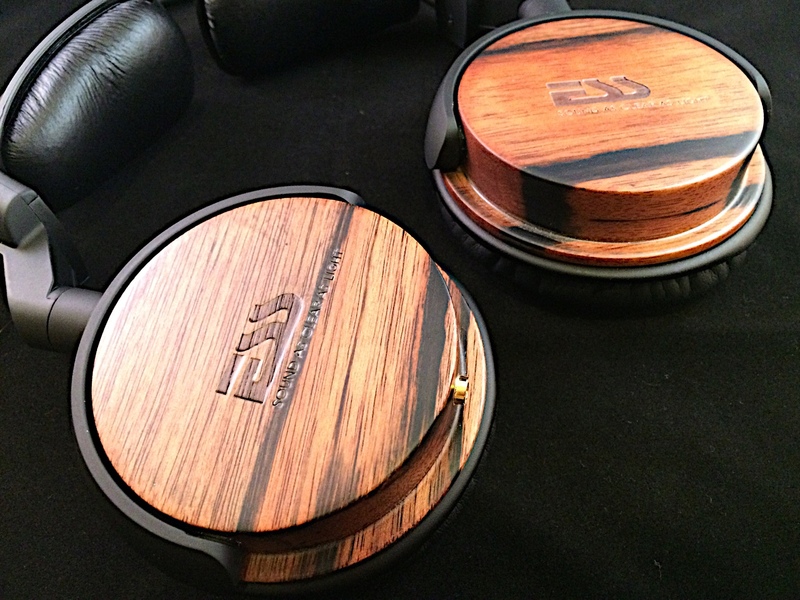 The wooden case is designed to be like a ported wooden box, with larger than normal chamber. The drivers were designed in the USA by ESS, and the headphones were built overseas. 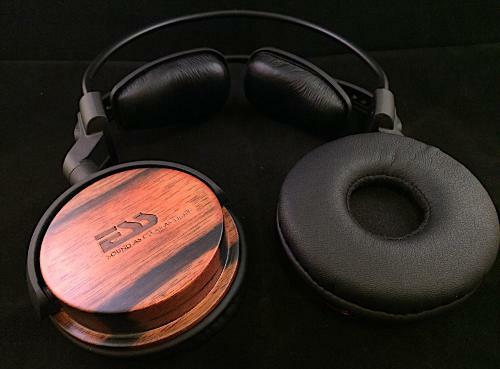 Earpads have a specially formulated, high density foam for natural noise cancelling and more impactful bass. Rick has asked the sites that claim the RLM-713 to be a hybrid headphone to change their stories, but this has not yet occurred. He is currently working on a Heil AMT headphone that will contain ONLY an Air Motion Transformer. He is hoping to have prototypes ready late in the summer, and planning a release for fall (October/November). On learning that my original description of this headphone was incorrect, I briefly considered deleting this review entirely; however, the remaining product details and my sound impressions remain unchanged and valid, so I've decided to keep the review up, with this edited information included. I can only apologize for any misinformation given. Ebony wood casing for superior acoustic reproduction and natural sound environment. Outstanding bass response, wider sound domain (?) and subtle music details. Lightweight headband for reduced pressure on top of head. 180-degree rotatable, high protein ear pads with soft cushion for comfort. Detachable, durable audio cord with TPE coating and OFC wires, and gold-plated jack. 100% acoustic-electronic test to ensure balanced sound. As described, the RLM-713 headphones are very light and sit comfortably on the head with minimal pressure. The headband consists of two rigid-yet-flexible, rubber-covered metal wires, connected to plastic housings that hold the ebony speaker cups. Rather than a full, padded band, two spring-loaded, padded wings provide comfort and stable fitment. 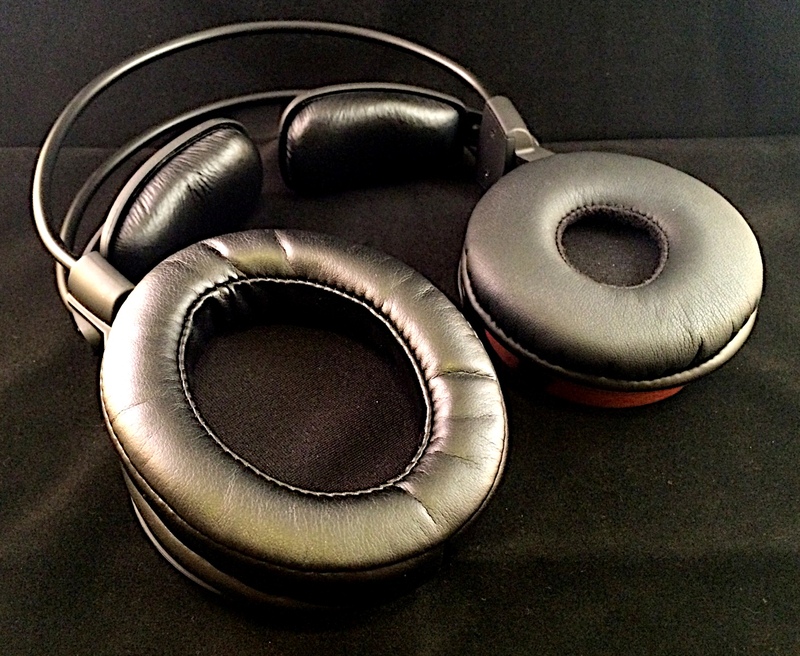 The ear pads, while not overly thick, are soft and comfortable. Seal is pretty good for an on-ear phone; I didn’t notice much external noise getting in, and my wife didn’t comment on sound escaping. The ebony speaker cups are beautiful, and lend a highly visible element of style and sophistication. The only issue I had with comfort (and this a general issue for me with on-ears) was that after some time listening (an extended session of around 2 hours while preparing my listening notes) I started feeling some sensitivity where my ears were clamped between the headphones and the hockey sticks of my glasses. Usually when I listen and focus on the music I take my glasses off, and I only really experienced this issue as I needed my glasses to see my laptop display while I typed; if you wear glasses and listen to music for extended periods, you’ll want to be aware of this. The rotating ear pads sit flat for storage and travel, and a cloth pouch is supplied to protect the phones from scuffs and scratches. The cable connects to the left ear cup via a standard 3.5mm jack, so finding replacement cables should be pretty simple. I used a 1.2m cable purchased on EBay for my Philips SHP9500 (the supplied 2m cable is a bit long in my opinion, especially if you’re listening while moving about). In my review I did comparisons with the other closed headphones at my disposal (Audio Technica ATH-MSR7 and Brainwavs HM-5), along with the open Audio Technica ATH-R70x (which I chose due to perceived similarities, namely strong bass presence combined with natural mids and highs). I also did extensive general listening to multiple tracks from various genres. For the purpose of this review, all listening was done using Amarra on my MacBook Air 13” (Mid 2012 model) and Matrix Mini-i Pro DAC/Headphone Amp (I added the Cayin C5 to the chain for the comparison with the R70x as the Matrix on its own lacked the power to drive that particular headphone well). Detailed listening notes appear in the “spoiler” tags after the listening summary. If you want the detailed notes, click on the tags. If the summary is enough, go ahead and skip to the conclusions that follow. Bass is quick, with good attack and decay on the primary level. Drums and bass have excellent transient speed, with a well-defined leading edge and natural fade out. There is an accompanying, secondary reverb effect, with sound lingering and resonating, creating an impression of acoustics and vertical space. While bass is powerful, I didn’t find it boomy, and didn’t sense it impacting the quality of middle frequencies or treble. Mids and treble I’ll treat together. I found both to be articulate and nicely balanced. Both male and female vocals were clear, with excellent detail and nice texture. Guitar, piano, snares and toms, brass, winds, strings, and other instruments presented naturally, with good discrimination and separation (I could shift attention from one instrument to another without difficulty). As for soundstage, I had a good impression of depth and layering, in addition to height. I could place instruments behind and in front of each other, and had a sense of being in a room with high ceilings. Sound was comparatively narrow; while I could tell if instruments were placed left, right or centre on the stage, I didn’t have the feeling of great width in sound presentation. 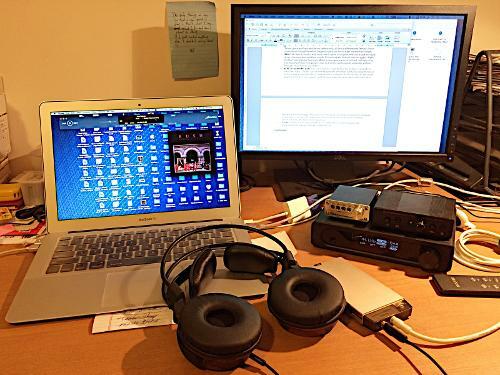 In reviewing the RLM-713 I listened to a variety of musical genres, including classical (both orchestral and chamber), jazz (instrumental and vocal), rock, pop and indie. All were handled with aplomb. As mentioned, vocals were nicely detailed with good texture, and this went for all genres I played. For small groups (jazz, rock, pop, indie), instruments had natural tonality and excellent definition. Before my review listening, I was a bit concerned about how classical (particularly orchestral) would present with the 713s, and I was pleasantly surprised. With less bass from source than with other genres, bass produced was less prominent, but still present, adding dynamics and atmosphere to performances. This was also true of some of the big band accompaniment with the Billie Holiday track described in my detailed listening notes; there was an almost holographic presentation with large ensemble pieces. Cat Power – Silver Stallion (from Jukebox): Incredible texture, detail and clarity on acoustic guitar. Feel the vibration of the guitar body, and manipulation of strings. Clarity of female vocal also beautiful. Hear the naturalness of fricatives and sibilants; can almost see mouth movements and feel the interaction of tongue, lips, teeth and breath. Backing steel guitar in the background, though quiet, comes through atmospheric and clear. Bass powerful, but no bleed or muffling of mids or highs. Small ensemble piece, so soundstage not emphasized, but strong sense of depth. Norah Jones – Come Away With Me (from Come Away With Me): Again the feeling is of bass emphasis and great clarity and detail. Bass is both quick and slow; attack and decay on plucked bass is tight, but sound lingers and resonates in the listening space; the lingering is atmospheric, creating feeling of acoustic space. Norah’s vocal is airy and natural. Instrumental definition and separation is excellent; each can be followed easily with no muddiness or bleed. Brushed snare is clear, piano is bright and natural, each guitar strum and pick easily decipherable. 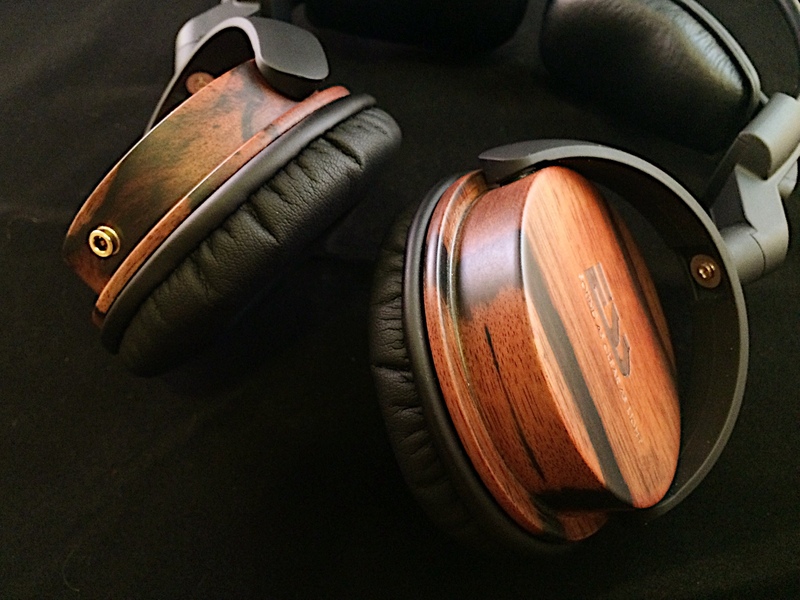 Sound is quite lovely to hear, with no roll-off in highs and no ear fatigue. Pearl Jam – Alive (from Ten): Powerful presentation. Prominent drums and bass provide an energetic heartbeat. Sound has an almost holographic feeling, with sub-bass felt and creating great atmosphere without boominess or impacting quality of mids and highs. Eddie Vedder’s vocal is clear, with good texture; his typically throaty, raspy voicing comes through clearly. Acoustic guitar clean and natural, while electric guitars have crunch and energy. Drum sounds well defined, with good clarity and definition of toms, snare and high hat. Guitar solo late in the song very slightly recessed, but clearly discernable and detailed. Overall sound is full with good sense of space (particularly depth); feels very much like being in a concert hall. Highs are clear but not harsh; I sometimes feel fatigued listening to Pearl Jam, but here I’m fine. Pink Floyd –The Gunner’s Dream (ending) > Paranoid Eyes (from The Final Cut): The transition from track to track here has an atmospheric sound of dragged footsteps on cobblestones. I find this a great test of texture and detail. The RLM-713s delivered; each foot landing and scuff of heels was clearly detailed, with movement towards and away from the listener. Piano clean and clear. Waters’ vocal full and textured, breathy. Sub bass powerful and once again atmospheric. Micro-details in the pub defined and clear. Acoustic guitar and snares/toms also clear and clean. Sade: Bullet Proof Soul (from Love Deluxe): Bass/sub-bass powerfully presented, feel the vibrations, no distortion, quick attack and decay with latency creating room feel. Very slightly boomy; first track to get that feeling in testing. Sade’s voice airy and smooth, with throaty detail. Male and female backing vocals/harmonies well defined and detailed. Mids (drums, piano, guitar, sax) un-muddied, good clarity, though very slightly recessed. Cannonball Adderley – One For Daddy-O (from Somethin’ Else): Great detail and texture in all instruments. Sax, trumpet, bass, brushed snare/high hat, piano all clearly defined and realistic. Highs piercing without harshness. Mids well presented, good detail. Bass quick and not overly powerful, but providing solid foundation for piece. John Coltrane – Blue Train (from Blue Train): As above, textured, detailed mids, clear highs, quick, controlled bass. Bass not prevalent but adding atmospherics and space. Sense of instrumental positioning, more focus on depth than width in soundstage. Billie Holiday – You Don’t Know What Love Is (from Lady In Satin): Beautifully atmospheric, full and lush, almost holographic. Strings silky smooth and sweet. Brushed snare in background for timing subtle yet clear. Billie’s vocal detailed and textured, full of soul. Trumpet solo mid-song clear, clear, clear and soaring, with beautiful, sparkling tone. Brahms - Symphony No. 1, Op. 68 (Bruno Walter, Columbia Symphony Orchestra): Beautifully full and lush. In outer movements, bass powerful, provides good drive, doesn’t overpower higher frequencies. Strings clean and sweet, can hear individual instruments in solos clearly, and massed strings still have sense of detail. Tone of woodwinds and brass natural. Strong sense of orchestra as a grouped body of musicians, almost a single instrument, although individual parts discernable, and instrumental definition and detail very good. Life and delicacy in slow movement, with clear, open space and detail of individual instruments. Sense of being in a clearing in a forest. Cohesive sound, partly a result of conducting, and partly from headphones? RLM-713: Thunder and synth to start are full and textured. Good rumble. Electric guitar sparkles… lovely tonality. Knopfler’s vocal tender, textured and transparent. Bass tight, fast. Snare drum well defined, clear. As with other listening, lows are powerful, but not overwhelming. Mids are warm but with a good level of detail, and highs bright without being sibilant. Sound is layered, giving a deep soundstage that perhaps lacks a bit in width. MSR7: Brighter presentation overall, with less dynamic bass and more forward mids and highs (sound sig. comparatively “J” shaped). Vocal slightly more textured and airy, but lacking a bit in warmth and body. Treble more noticeable. Guitar somewhat overtakes the piece, drums and bass recessed. Organ/synth also recede a bit but still present. Overall the song is less engaging, more clinical. The comparatively airy, bright presentation gives a more spacious presentation, with good width and height. Verdict: The RLM-713’s strong bass presence and warm yet detailed mids and highs win out in creating a more engaging sound environment. While the MSR7 sound is more spacious, the RLM-713 has more layering and depth. The MSR7 accentuates certain instruments over others, while the ESS has a more natural, democratic sound in which all instruments can easily be picked out and attended too. RLM-713: Cello is warm, with lovely reverb in the lower registers and beautiful texture and resonance higher up. The piano has great tone, sounding natural on both hands, with some sparkle high up and full body in the low notes. Instruments and each note are well defined, with no overlap of sound or loss of identity. Playing is dynamic yet intimate at the same time. Soundstage is once again layered, with strong sense of depth, though limited breadth. HM5: Sound here is really lacking in warmth. Bass is almost non-existent. Piano sounds almost hollow (in a non vibrating way). Cello lows have all but disappeared; it sounds almost like the wooden body is filled with socks. Both instruments feel distant. 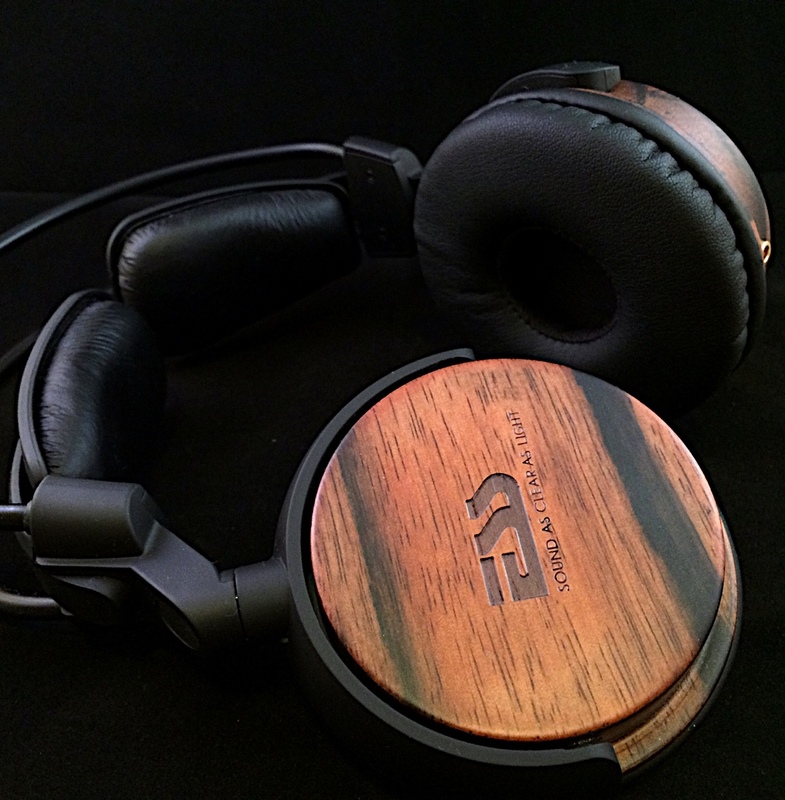 Even with “ear burn-in” of several listenings I find myself wanting to throw the ESS’s back on! Verdict: RLM-713 wins by a landslide. They are so engaging! Again the balance of body, warmth and detail, with natural clarity and resolution, really drew me in as a listener. Listening through the HM5s was a comparatively empty, emotionless experience. 3) ESS RLM-713 vs. Audio Technica ATH-R70x (added Cayin C5 – high gain, bass boost off – to chain for additional power with high impedance R70x. RLM-713: Bass is rounder, with more reverb. Speed is still good, with nice attack and rapid decay of primary bass and drum sounds. Not noticing any bleed of bass into mids or highs, but there is a pervasive bass body. Mids are once again warm yet detailed, and highs crisp. Can bounce attention from guitar to bass to drums to synths quickly and easily, without having to strain to hear any of them. 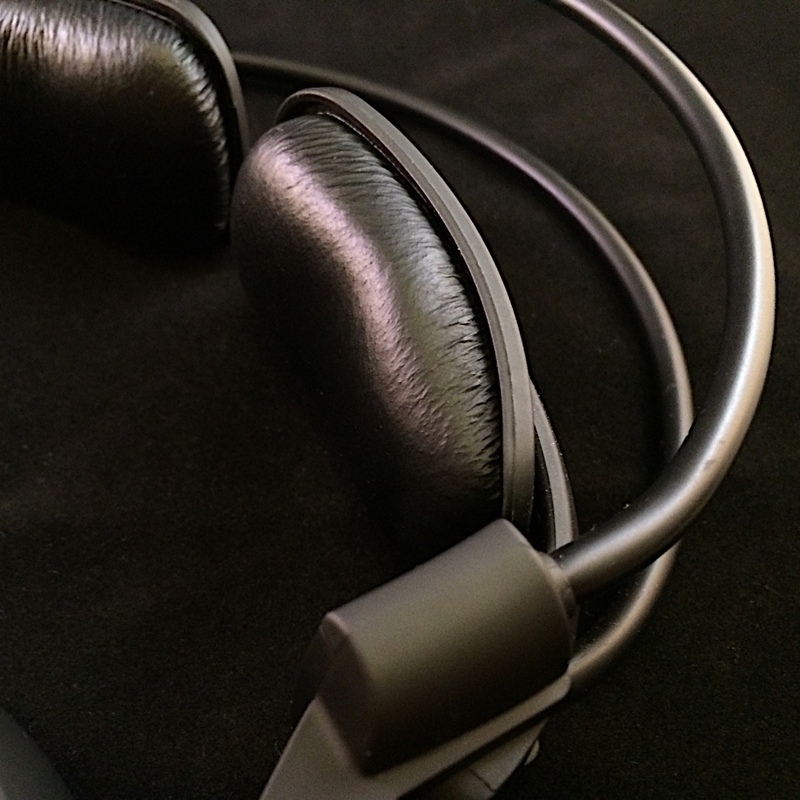 RLM-713 with HM5 pads: Just out of interest, I switched out the stock (on-ear) pads for HM5 (over-ears). The ear cups on both headphones are similar sized and I thought it would be fun to play around with the ESS and see how it performed as an over-ear can. The sound wasn’t bad, but also not as good as with the stock pads. Bass was significantly reduced, as was warmth from the mids. Detail was still pretty good, but overall sound was less engaging and dynamic. Turning on the Cayin bass boost returned some of the warmth and bass punch, but not to the level of the stock set-up. Verdict: The R70x is an open headphone, so I expected the sound to be airier and soundstage more spacious. This was indeed the case. The RLM-713 has a more powerful bass presence, and marginally less detail through mids and highs. Depth and layering is stronger with RLM-713, but more centre-focused. I’ve enjoyed having the opportunity to spend time with the RLM-713. 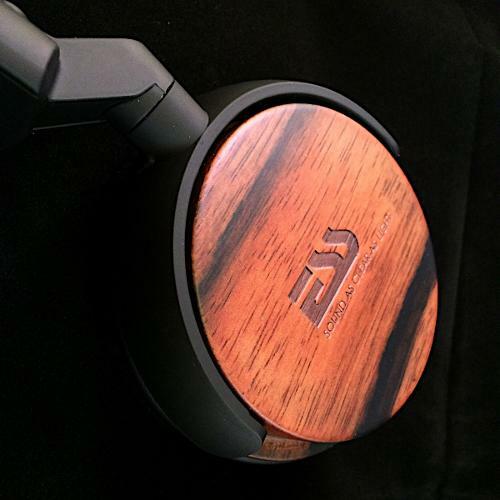 They are fun headphones with a lush, dynamic sound. I was impressed with the combination of lively bass and detailed, natural mids and highs, and happily surprised how the two complemented each other (rather than one cancelling the other out). While bass is prominent, I don’t consider these bass cannons; that said, users who prefer a bass-light sound signature may not enjoy the 713. Build quality and general comfort are good, and these make a good portable headphone solution; they isolate well, and pack away flat for easy backpack or suitcase transportation. As mentioned, my only concern personally with the 713 came from pressure on the ears for glasses wearers, especially for extended listening sessions. If you’re in the market for a portable, on-ear headphone and like a full, lush sound, you could do a lot worse than the RLM-713. I hope this review was helpful. I welcome questions and feedback in the comments below. x RELIC x and Pokemonn like this. @Malfunkt: You're welcome. Sorry for the earlier confusion. Glad we got this sorted.